Lightness. Feel. Pure riding pleasure. Performance. 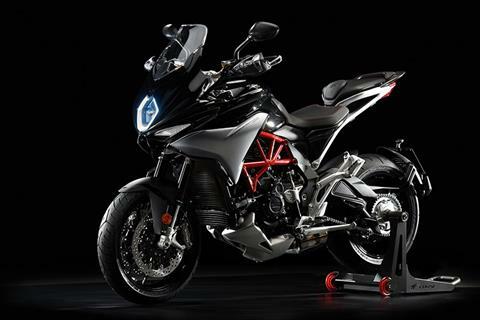 The lightweight three-cylinder 800 engine at the centre of the iconic frame with its steel trellis and aluminium plates. Electronics designed to make life easy for the rider. 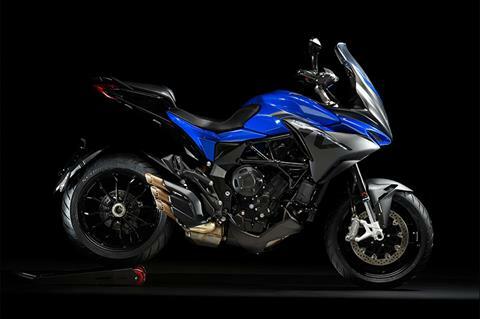 MV Agusta has re-thought the Tourer to make it fast, lightweight and dynamic. 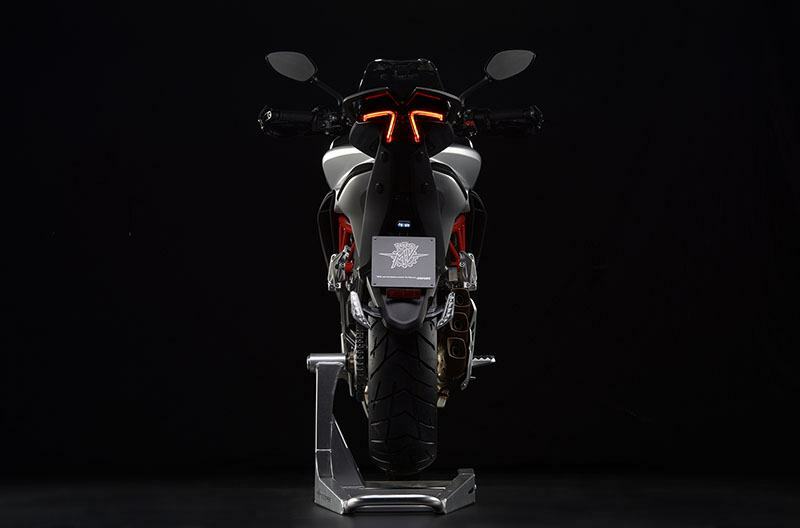 The revolutionary design concept behind this MV Agusta-style Tourer has spawned two versions: Turismo Veloce, for those eager to enjoy lightweight sportiness without having to compromise on features such as the full LED lights and the instrument cluster with large 5” TFT color display and Bluetooth. Turismo Veloce Lusso: with electronically controlled suspension that uses dynamic performance data fed by the inertial platform, the Turismo Veloce weaves through the twists and turns with even greater comfort and efficiency. The system acts on hydraulic compression and rebound, even with the bike on the move. The instrument cluster with large 5” TFT color display also provides GPS data. And with the dedicated apps, the bike, rider and passenger are one. The original layout of the panniers (30 litres each, identical dimensions), smoothly inserted into the tail fairing in a way that is both stylish and practical, features a load-bearing cast aluminium subframe that supports the rider seat, the passenger seat and the panniers; this reduces width-wise bike bulk and ensures a load capacity that take you all the way… To that enticing horizon. 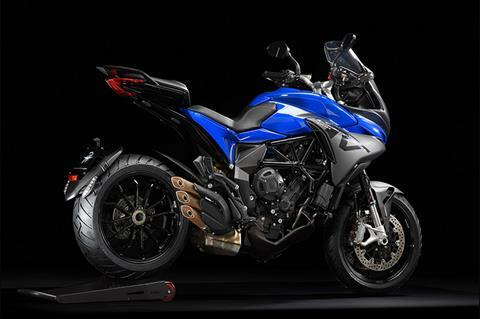 The new 3-cylinder engine has a maximum power of 110 hp and 15% more torque (in the most-used rpm range) than the power unit on the Rivale and Brutale. 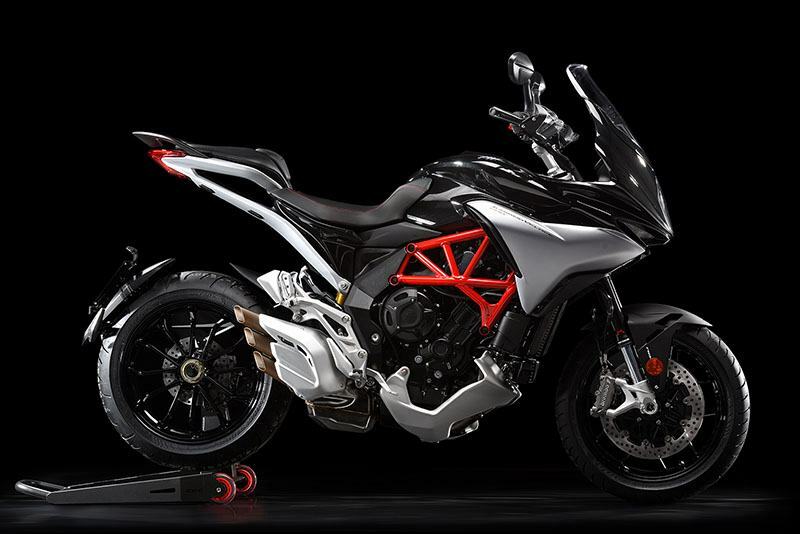 The power-weight ratio and torque value make this bike unique, providing an unforgettable riding experience. Specially-made pistons, a compression ratio that optimises performance and consumption, top-shelf electronic control. With the new MVICS 2.0 (Motor & Vehicle Integrated Control System) platform, injection times and required fuel quantities are calculated instant-by-instant with absolute precision whatever the engine revs. MVICS 2.0 uses the new TC and the EAS 2.0 with-blipper shift system, all managed smoothly via the new 5” color TFT instrument cluster, making the Turismo Veloce both compliant when riding with the throttle barely open or vivacious at a twist of the wrist. Awesome acceleration lets you to take on the competition, thanks also to the ratios used on the improved removable gearbox, ratios optimised for this specific model. The already low fuel consumption of three-cylinder MV Agusta engines has now been lowered even further – up to 20% less – compared to current models. Moreover, the quest for optimum in-chamber combustion has now made Euro4 approval possible. The availability of 4 engine maps (Touring and Rain with 90 hp maximum power, Sport with 110 hp and Custom which can be personalised) means maximum freedom of choice to suit your riding style whatever the conditions. Some parameters can be personalised: these include the engine torque curve throughout the power range (two levels), rev limiter mode (more or less abrupt cut-in), throttle sensitivity (three levels), engine brake (two levels) and engine response (two levels).Significant improvements to traction control, which can be adjusted to eight different levels or disabled, give the rider a system that ensures safety first and foremost but without compromising on the exhilaration that is an essential part of sitting astride an MV Agusta. The new operating logic of the quickshift gearbox falls under this same category: the EAS 2.0 lets the rider up and down-shift without using the clutch. The result? 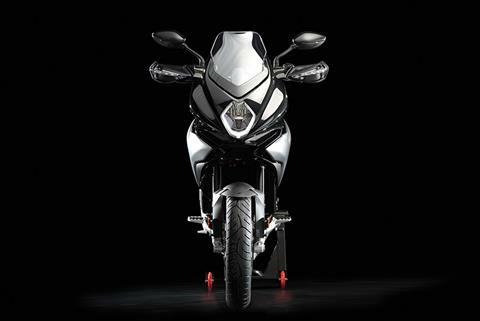 Much shorter gear shift times, greater comfort and a much sharper focus on the riding. Front Brake Caliper - Brembo radial-type, with 4 pistons Ø 32 mm (Ø 1.26 in. Front - Aluminum alloy, 3.5 x 17 in. Rear - Aluminum alloy, 6 x 17 in. 59 ft. lb. (80 Nm) @ 7,100 rpm max.